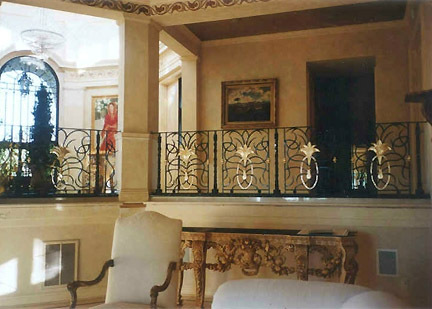 Inspired by a photograph of the Beverly Hills Hotel, the repeated floral elements in this custom-designed iron railing were accented in combination gold leaf. Atherton, Ca. To see more gilded rails and banisters, click link below.